Posted on 16th March 2018 at 10:00 am. We are very proud to be celebrating twenty years in business this year as market leaders in owner managed student accommodation in Plymouth. Our portfolio of prime student properties is growing steadily, and we are always adding more benefits and services to our offering to ensure our students get the best deal! So what makes Student Rooms 4 U stand apart from the crowd? The most fundamental factor in any students’ housing decision is where to live. Importantly all Student Rooms 4U’s homes are within 250m or 7 minutes walk of Plymouth University and Plymouth Art College. Located on popular student streets such as Armada Street, Marlborough Rd and Addison Rd, these properties are also minutes from the infamous student haunts of Bar Switch, The Caffeine Club and Bar Cuba. Living independently for the first time is a massive step for most students, so it is hugely reassuring to have a friendly voice at the end of the phone, or a monthly review to check all is ok.
Because we own and manage our properties, it is in our interests to ensure the properties are kept to a high standard, so any maintenance issues are dealt with promptly and thoroughly. 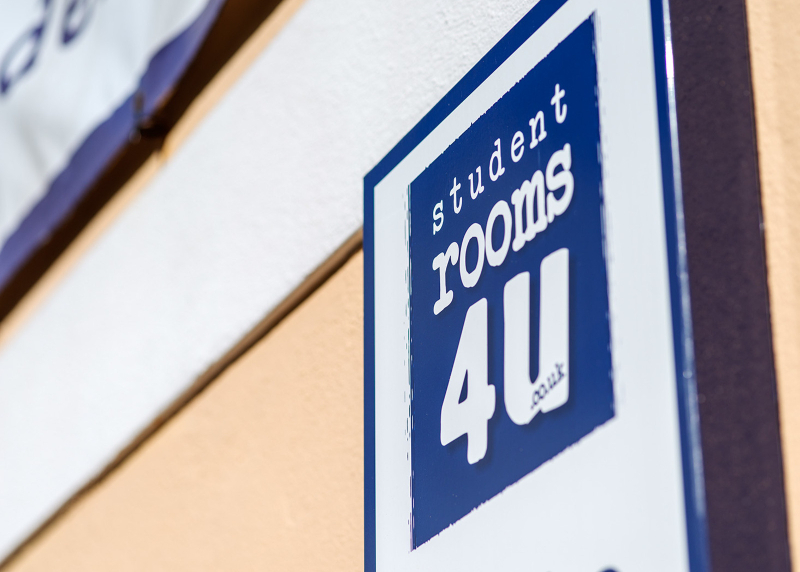 The Student Rooms 4U team are exceptionally friendly and approachable, and are on first name terms with most of our tenants, offering helpful advice and support where needed. With no deposits and no administration fees to pay, no guarantors required, and prices inclusive of gas, electricity, water and broadband for the house shares, (and bills inclusive of utilities for the apartments), it couldn’t be easier to let a student property. Rental prices are also exceptionally affordable, especially considering the quality and location of the student homes. There’s No Devil in This Detail! We provide student accommodation ranging from individual letting rooms, 1 and 2 bedroom apartments, right through to 15 bedroom shared student houses. With the majority of properties rated A Grade by Plymouth University, the quality of décor and thoughtful design really is exceptional. We offer individual contracts for our student rooms, meaning that tenants are only liable for their own room and a share of the communal area, and do not have to cover other tenant’s rent should those tenants drop out of studying. Contracts are of a reasonable length, so students are not paying for weeks where student accommodation is not needed. We also have our own centrally located carparks, so bringing a car to University need not be an issue. So Where Do You Sign? With our shared houses boasting the UK’s fastest available broadband (download speeds of 350mbps- business connections), and brand new apartments going up opposite Plymouth University, what is there not to like? Are you looking for student accommodation in Plymouth? Browse through the available student rooms, flats and houses to find something that suits you here. Call on 01752 849232 or contact us online to arrange a next day viewing, then let Student Rooms 4U sort the rest for you!